Basic knit two, purl two ribbing is one of the most basic cuff or edging patterns, but it can be kind of plain. Sometimes I like to pretty things up by adding a simple twist to this common motif. It's called a twisted cable rib. Don't worry, though. You don't need any special cable needle to create the twist. Worked over a multiple of 4 sts +2. Row 1 (RS): [k2, p2] until 2 sts remain, k2. Row 2 & 4 (WS): [p2, k2] until 2 sts remain, p2. Row 3: [k2tog but do not slip sts off the left hand needle, insert right needle between the two sts and knit the first stitch again slipping both sts off the left needle together, p2] to last 2 sts, k2tog but do not slip sts off the left hand needle, insert right needle between the two sts and knit the first stitch again slipping both sts off the left needle together. Worked over a multiple of 4 sts. Rnd 1-2, 4: [k2, p2] around. Row 3: [k2tog but do not slip sts off the left hand needle, insert right needle between the two sts and knit the first stitch again slipping both sts off the left needle together, p2] around. Many thanks to my friends at Skacel for providing the Zitron Trekking XXL yarn that was used in this tutorial. This yarn is available locally at many yarn shops and online at Makers' Mercantile. 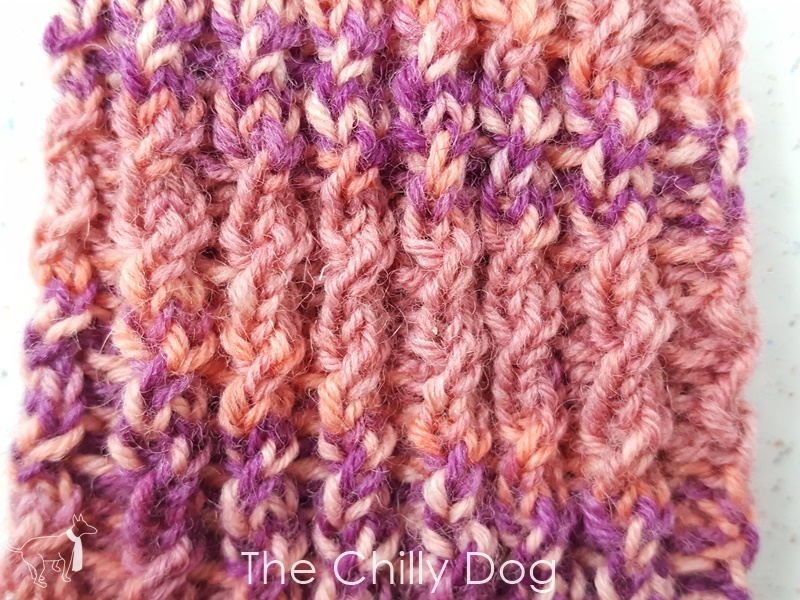 Ready to try this stitch in a pattern? 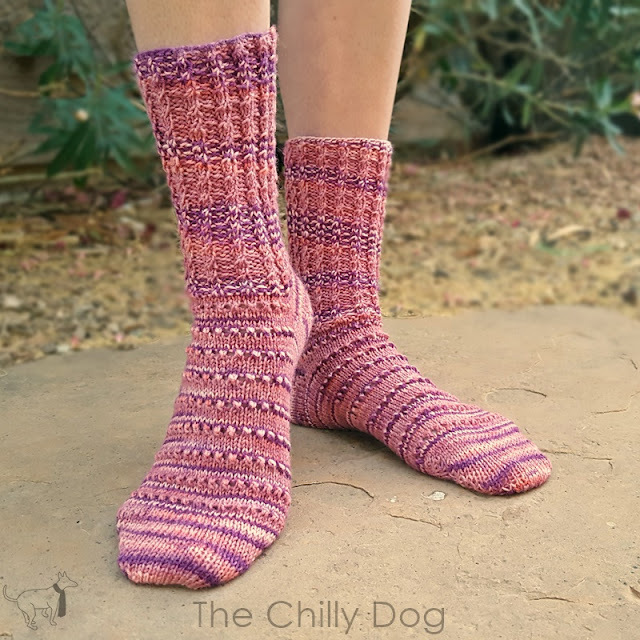 Check out the Azalea Socks pattern available in my pattern shop. 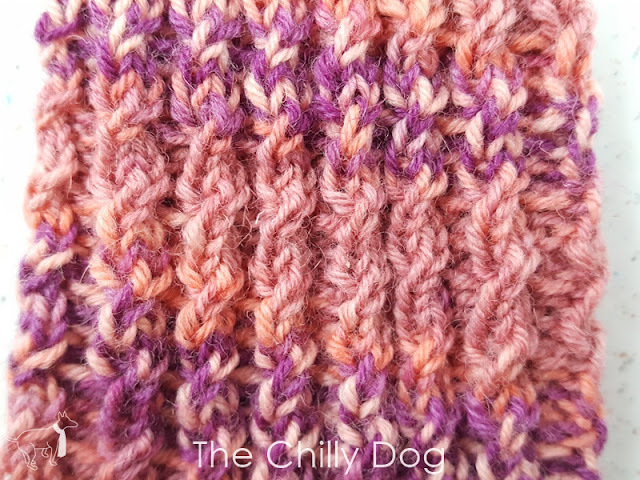 Stitch of the Month:Twisted Cable Rib is a pretty and surprisingly simple variation of basic k2, p2 ribbing.